Tedla Bairu joined the independence movement as the Vice-president to the Supreme Council in 1967 while Idris Mahammed was chairman of the ELF. Both these revolutionary leaders were in favor of the union in the 1940s when 65%-75% of the Eritreans were in favour of independence (Yohannes 1993:4).Haile Selassie would immediately betray the UNIONIST PARTY; the Orthodox Church, and some semi-feudal Christian and Muslim population, who were in favor of the union (Cbaac, 2008). If those two revolutionary leaders and other political leaders were in favour of independence in the late 1940s, the Eritrean people wouldn't have become the victims of the Ethiopian rule. Most Eritrean skilled workers who arrived between 1957 and 1975 in Ethiopia succeeded in securing jobs in road construction, transportation service and in the food and textile manufacturing industries. Erlich (1983), who was lecturer at the University of Addis Ababa, observed that the proportion of Eritreans at this University was higher than of Ethiopians in the early 1970s, which might be attributed to the higher standard of education in Eritrea during the federation period. Spencer(1984: 303) also states that Eritreans came to Ethiopia in such numbers that they gradually dominated the Ethiopian Air Force and the police, 40 percent of the Army officer corps, much of telecommunications and nearly 100 percent of the taxi drivers in Addis Ababa. From 1952 to 1966, a considerable number of Eritrean polit- ical activists and their sympathisers fled to Sudanese border towns and elsewhere to escape harassment, intimidation, and persecution (Kibreab, 2000:254). Although the ELF and EPLF leaders agreed to end their hostility in 1975, there was no willingness for military cooperation between them. As a consequence, the unarmed civilian population also became victims of the the Fascist military dictator of Ethiopia in the mid 1970s. In the mid-1970s the atrocities and massacres against civilans continued in both urban and rural areas. The burning of villages was extended throughout Eritrea in the 1970s and 1980s. A conservative estimate of the number killed in 1975 puts it at more than 10,000. The number of refugees in the Sudan rose to more than 130,000 in that year. More than 200 villages were devastated and more than 50,000 people were made homeless. 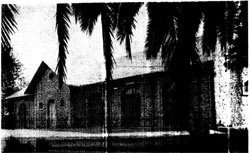 In March 1976 the army also shot dead 42 civilans in the capital Asmara, and 60 women and chldren were machine gunned in the Red Sea village of Imberemi. On 1 January 1977 when the troops moved into Hirgigo, (12 km from Massawa) they burned it to the ground after massacring 64 women , children and the elderly who were too weak to escape. Young men and women were dragged out of their homes at night, strangled and thrown into the streets in what the death squads themselves called the “ Piano Wire Operation” Hundreds were killed in this terrible manner. According to cbaac (2008), almost every family went through the nightmare of purge, imprisonment and torture. In the cities soldiers were going from house to house looking for women's gold. Once they have loathed the house they will kill almost everybody, men, women and children alike. Innocent young and under age girls were taken from their homes and murdered after being raped. If parents refused to give their daughters' hand to an Ethiopian soldier, the whole family was murdered. The repression and crime was so high that parents were encouraging their daughters either to join the liberation movement or else leave the country. Last but not least, many young Eritrean girls raped by Ethiopian soldiers preferred to commit suicide rather than carry children of ultimate violence. Here is an interview made by Amrit Wilson with an Eritrean woman Saba Asser, one of the survivors of Ethiopian prisons and torture, after eleven months of detention in one of Asmara 's toughest prison, Mariam Gimb. She refused to admit that she was working for the EPLF organization. She was not willing to collaborate and denounce her comrades. “For each arrested person there are seven to eight interrogators. They tie your big toes and your hands together, your arms around your legs. Then they put a stick under your knees: this is called the number eight because your body is in the shape of an eight. They make a ball from the cloths and vomit of prisoners and put it in your mouth. They turn you up side down and then they start beating the bottom of your feet. You hang from the stick which they lay with its ends on two tables. Seven or eight people take turns beating you. When one gets tired, another gets over. On the first night they beat me all night from 5.30 p.m. to 4 o'clock the next morning. They wanted the names of my friends before they could flee from their homes as soon as the curfew was lifted at 6 in the morning. ……the second day at 8.30 in the morning they called me again…they beat me from 8.30 till 12 o'clock. One hour of number 8 and then 9. In number 9 my big toes were tied together and while I am lying on my belly they stood at the sides of my back. "We definitely know civilians will get hurt but, knowing that the people sympathize with the rebels, the order is to bomb everything that moves.. In esacaping from these atrocities the number of internally displaced Eritreans rose to 100, 000 in 1988 - 1989, with approximately 40, 000 fleeing to Sudan from the coastal regions. During the liberation struggle the Eritrean people not only became the victims of the Ethiopian government but were also killed by the ELF and EPLF. The ELF leaders were also not innocent from committed a crime. For example, the Kunama were the first people who became the victims of the ELF leaders in the early sixties (1960s). “Many Kunama have vivid memories of Hamid Idris Awate who had committed so many atrocities against them Read more. 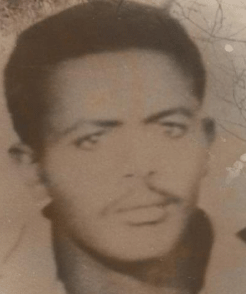 In the late 1960s and 1970s people from other regions were also became the victims of the ELF and EPLF leaders, this was exacerbate after the formation of the EPLF in the early 1970s and the end of the 1972-194 civil war.